Each question is valid and not uncommon nor unexpected to be asked during that time in the “in-between;” those 12 weeks from May 1 (enrollment deposit day) to the end of August (new-student-orientation weekend). 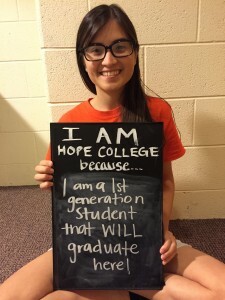 And it is exactly for that time period that Hope College has been developing new summer initiatives, dovetailed with its already established fall first-year programming, to help incoming students transition to college. Dr. Chad Carlson, assistant professor of kinesiology, conducts new student advising. Since the summer of 2014, Hope has instituted – under the direction of both Dr. Ryan White, director of advising, and Chris Bohle, associate director of student development – two programs that provide greater communication and support to soon-to-be Hope freshmen. New Student Advising Days are half-day summer campus events that are open to all freshman and prepare students for their academic transition to college by facilitating class registration and introducing students to academic advisors, other staff, and programs. The Summer Bridge Program is an invitation-only, living-and-learning experience that supports those who would benefit for earlier exposure to college life. Students stay a week on campus in mid-August, take a one-credit college writing course, experience cultural aspects of campus life, have meetings with peer and faculty mentors, and engage key institutional personnel and offices. Each experience helps incoming students become more academically and culturally prepared for their first day at Hope. 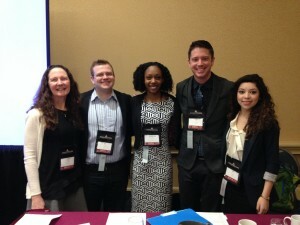 Bohle and White, along with Dr. Marla Lunderberg, associate professor of English and director of Hope’s FOCUS program, and Alexis-Simone Rivers, student-director of First Year Transitions, were recently selected, after being vetted through a competitive, blind-review application process, to present about these Hope programs at the 35th annual National Conference on the First Year Experience at the University of South Carolina. While they are quick to explain that both of these initiatives are not novel to higher education, the way that they’ve been constructed at Hope is. Peer-advisors, alongside First-Year Seminar faculty, talk incoming freshman through several aspects of class selection and general education, as well as major requirements during three New Student Advising Days in June. The Hope students relay classroom experiences that were beneficial for them and could be for new students, too. “The big thing about new student advising is we find incoming freshmen are leaving less anxious about registration and feeling more connected to campus, and our students are a big reason for that,” says White. Each summer initiative is a forward-looking, Hope-strength-based experience that leads into bigger things to come, namely, Hope’s four-day freshman orientation. Orientation is held just prior to the first day of fall classes. Additional year-long academic and cultural support is to come on campus, especially from First Year Seminar faculty and in programs such as Phelps Scholars, Day 1, and Time to Serve. But in the time in the in-between, incoming students are already having meaningful experiences preparing them to be full-fledged college students in the fall.